All things evolve over time and real estate is no exception. As with most things, especially in a time of social media, we are all forced to discern between perception and reality. What was once based in fact, is now merely a myth of how things really work. At one time, the real estate profession was almost in complete control of information that was necessary to buy or sell a home and connect buyers and sellers in a successful transfer of property. With the development of the internet and the dissemination of information to realtors and the public, alike, the information is now disseminated to a much broader audience. The information available through the internet has not only caused myths to be created over what is no longer true, but also caused myths about what has come to be true. 1. Successfully buying or selling real estate is as simple as posting or finding property online. In the days before the internet, properties were located by contacting a realtor who had access to a printed MLS listing book, or finding a property with a sign in the yard. Finding the property was more difficult in days past and it played a more important role in the transaction. While marketing a property is very, very important, it is just the very beginning in a real estate transaction. Likewise, simply finding the property is just the very beginning. There are dozens of steps between finding the property and closing the sale or purchase. Advertising the property or finding it online, without the goal of actually selling, is little more than merchandizing or window shopping. After the parties deal with contracts, inspections, repairs, financing, verification of funds, claims against the title and execution of the necessary forms, the transaction finally comes to a close and transfers the property. Agents, buyers and sellers that only concentrate on the marketing aspect of a property, will never get to a successful close. 2. The largest or most “prestigious” broker will help me sell my property for more money. In the days before the internet, people were not as informed about the inventory of available properties. It is now possible to view these properties online before buyers actually visit them, giving everyone more information about market value. With educated buyers and agents, alike, it is really unlikely that anyone would pay more than market value for a property because it is listed by a particular brokerage or agent. No buyer has ever told me “I would be happy to pay more for this property because it is listed with XYZ brokerage”. As a corollary to this perception, a particular agent or brokerage will not cause buyers to see a property simply because it is listed by that agent. No buyer has ever told me that they only want to see properties that were listed by a particular broker. In most cases, the potential buyer has absolutely no idea who the broker is behind the particular listing. 3. My agent will attract international buyers if my broker has offices in other countries. A good friend of mine once represented a United States based builder looking to sell U.S. homes in the Emirate of Dubai. He did this for over a year. The problem with this arrangement is that anyone looking for U.S. properties were not contacting an office in Dubai. Rather, these buyers were searching on the internet and contacting a broker in the United States, or the listing broker, directly. It would seem counterintuitive for any buyer who was interested in U.S. properties to walk into an office in Dubai. In the days before the internet, things may have been different, but today, searching the world is at your fingertips. If anyone has a property that may have international appeal, they are better off creating a great online presence as that is the most likely place your buyers will see your property. 4. Discounting the commission paid to the agents will not affect the marketability of my property. Sellers who hire discount or “limited service” brokers to market their property may be running the risk of sabotaging their own marketing efforts. Buyers agents can see, in advance, the amount of compensation the listing offers. If the commission is discounted substantially below the average rate, an agent might think twice about showing it to their clients. Likewise, if a listing does not offer a competitive rate of compensation, it loses a competitive advantage to those properties that offer a regular full compensation. Sometimes, to make a property more attractive to the marketplace, Sellers will actually offer bonuses to cooperating agents in order to entice them to bring a buyer. A discounted commission is certainly at a disadvantage in this scenario. Limited service listings pose another problem. Limited service listings simply put your property in MLS and the listing broker offers no other services. The buyer’s agent knows that they will be saddled with facilitating the entire transaction on their own, with no help from the limited service listing broker. This makes a complicated transaction even more difficult for the buyer’s agent. If another property suits their buyers needs, it will most likely be the recommendation of the buyer’s agent that they purchase that other property. 5. The agent with the most listings in my neighborhood is the best agent to list my property as well. 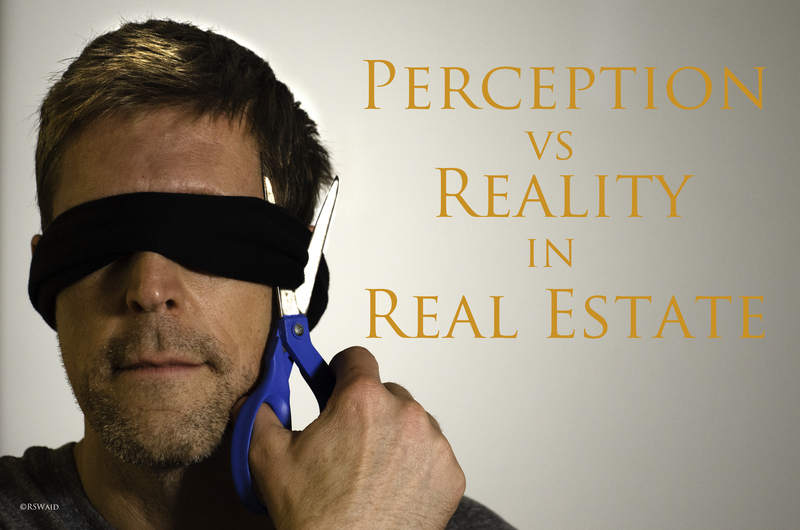 Every real estate transaction has two sides: the listing and the buying side. The effectiveness of an agent in selling your property should really be measured by whether they also bring the buyer or whether they price the property realistically for a reasonably efficient marketing time period. Sometimes an agent will overprice a listing just to get the sellers to agree to the listing. The agent then lets the listing linger on the market for months or years. While the property may eventually sell, ultimately, the agent who brings a buyer with an offer that coincides with the real market value, is the real cause of the sale. 6. The agent that promises me the highest price for my house is the agent that should list it. This perception is related to the one above. In deciding to list with a particular broker, the perception may be to list it with the agent that says they can sell it for the highest price. Agents who over price real estate, just to get the listing, do their clients a disservice. The sellers have unrealistic expectations and may pass up a very fair offer for their property. Long market times frustrate sellers and make buyers wary of making an offer. Overpricing also wastes the time of sellers, buyers and agents. While market value is one of most difficult questions to answer, an agent should be diligent in their search and be able to back up their conclusions with very convincing sales and market data. They should also be truthful with their sellers. In the current market, the consumers and the agents are flooded with information about inventory and market value. Also, if a buyer has been looking for even a short time, they will get a good feel for value in a market place. Over priced homes are seldom shown. Over paying for property is far less likely in a market where information is readily available to everyone. 7. Even though I am not ready to buy, I think it’s a good idea to start looking at homes with a realtor. Looking at homes should not be your first step in searching for a new home. One of the first steps in a new home search should include a conversation with a mortgage lender or otherwise qualify your ability to actually afford the homes you want to see. Scheduling showings before you have your financing settled is a waste of your time. Inventory of homes changes constantly. A home that you saw even last week may not be available when you get ready to buy. Remember also, that not only are you wasting your time, but you are also wasting the time of your agent, the listing agent, the seller and the people who live at the home you want to see. Most showings require the coordination of all these schedules to accommodate a showing. Showings are a necessary tool, but only towards the end of deciding whether you are interested enough in a property to possibly purchase it. If you have no interest in purchasing the property, there is little point in scheduling a showing. I hope that this blog may help you in your next real estate transaction when you go to sell or buy your next home. Understanding how a real estate transaction really works should minimize frustration and help with realistic expectations to avoid disappointment.